In keeping with that mission, Motionpoems is currently running a (very modest) Kickstarter campaign for Hothouse. The project matches four award-winning poets with four cutting-edge filmmakers and gives them 48 hours to produce a film. The all-or-nothing campaign ends Wednesday, April 10, and the Hothouse films will be screened at the Loft Literary Center’s Wordplay Festival in Minneapolis on Sunday, May 12, 2019. Read all about it on Kickstarter. If you’re ready for a little poetic video viewing, have a look at Aeon. 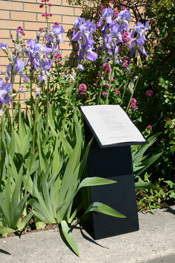 The site offers a wide array of long- and short-form essays and digital musings as well as a variety of materials on poetry, including, “The brevity and beauty of Yeats’s verses reveal poetry’s enduring significance” and “‘Now I will do nothing but listen’ – Walt Whitman on how sound shapes the self.” (And in case there’s not enough of the stuff right outside your window, have a look at “A meditative cinepoem from 1929 captures the reflective, ethereal wonders of water.”) Enjoy.